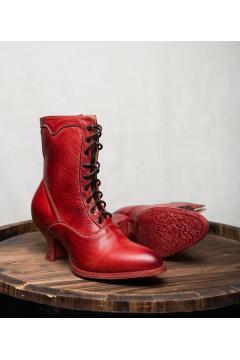 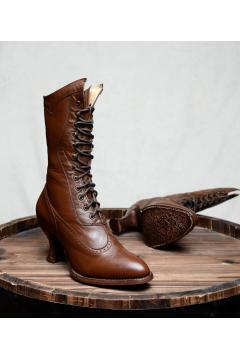 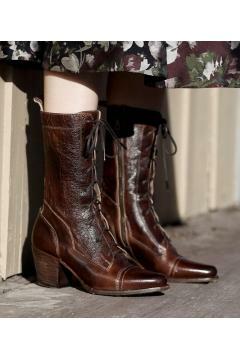 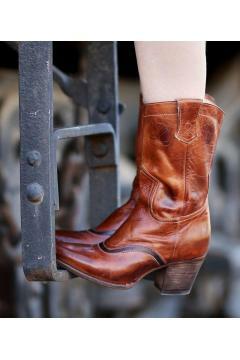 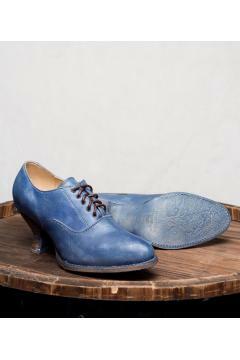 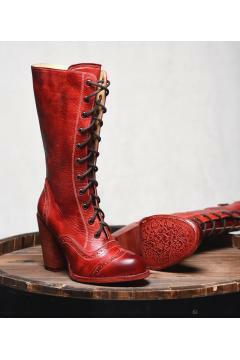 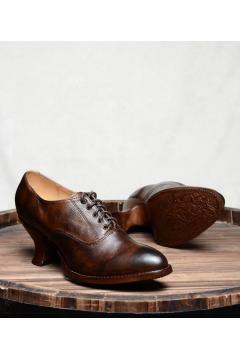 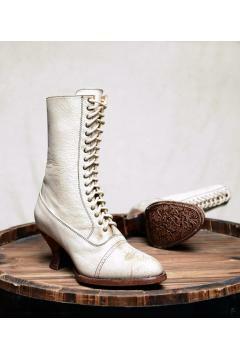 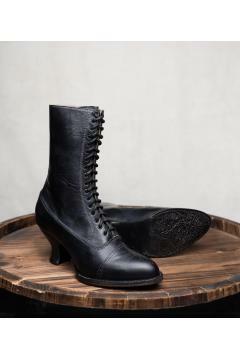 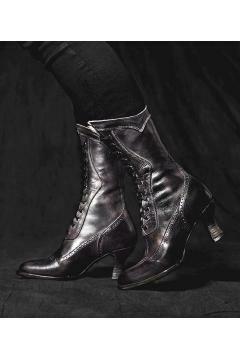 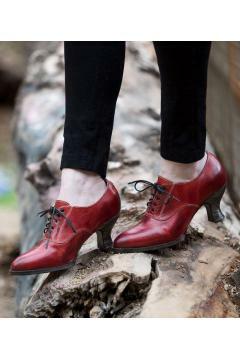 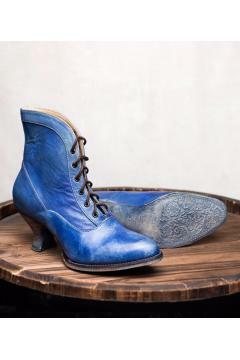 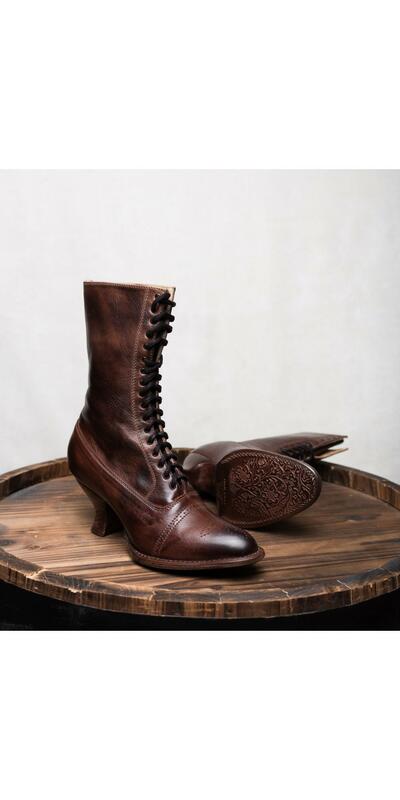 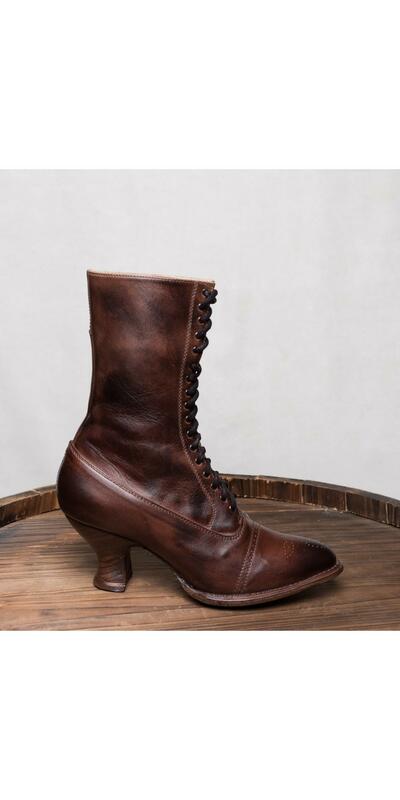 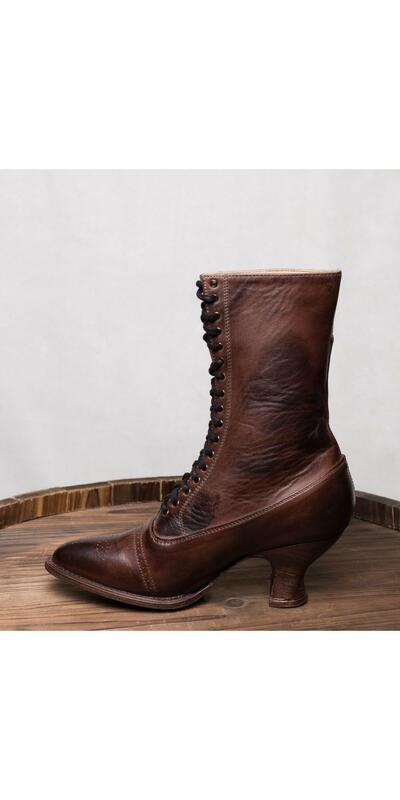 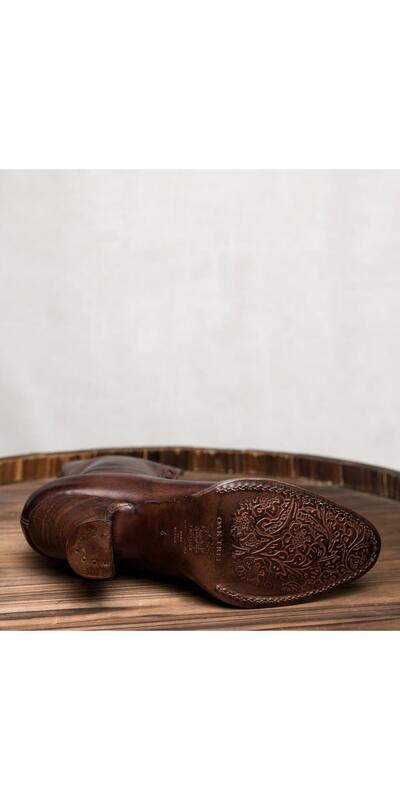 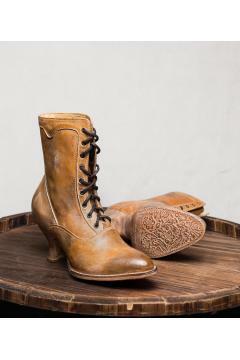 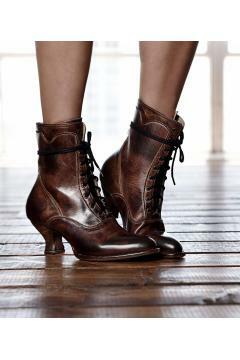 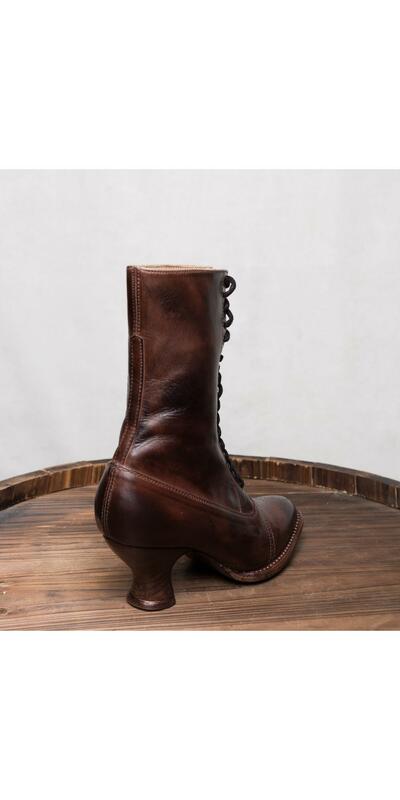 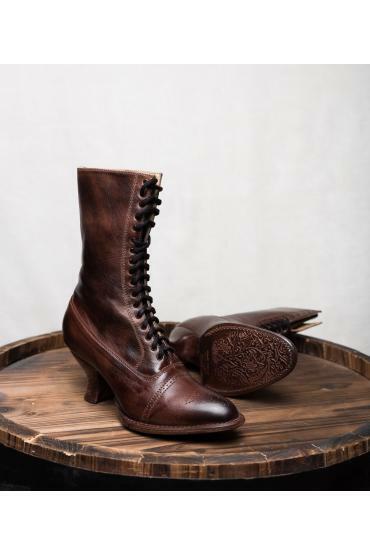 Enjoy the early 1900's styling of these lovely Victorian Style Leather Boots in Teak Rustic. 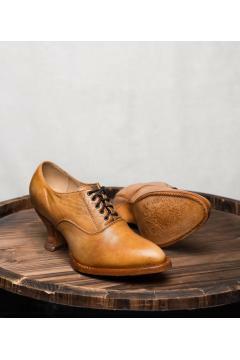 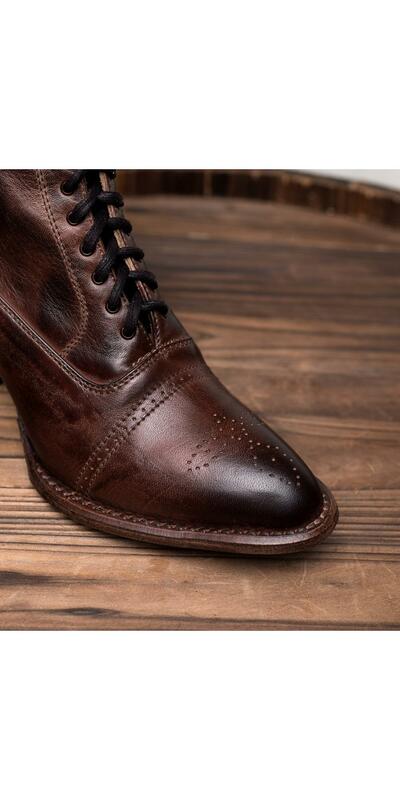 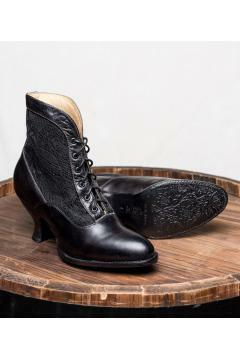 With perforation details on the toe, the full grain leather upper reaches 8.5" high, the heel is 2" tall. 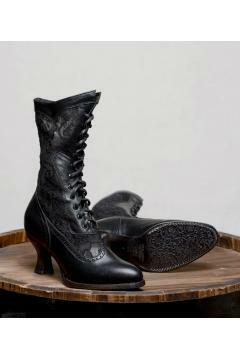 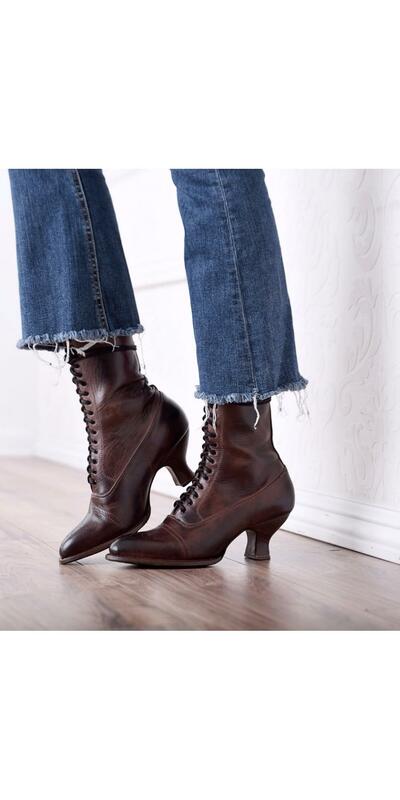 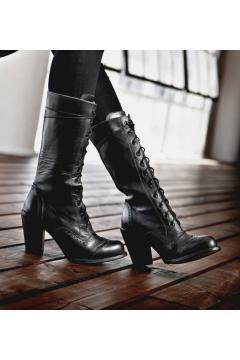 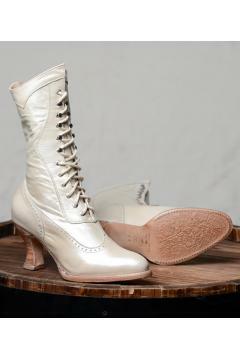 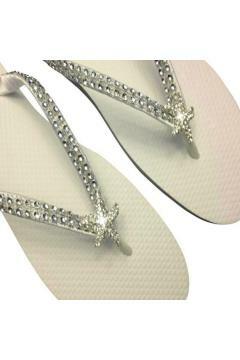 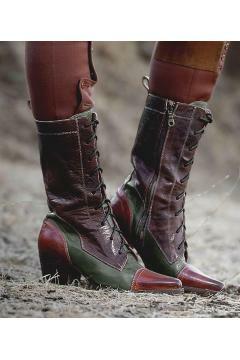 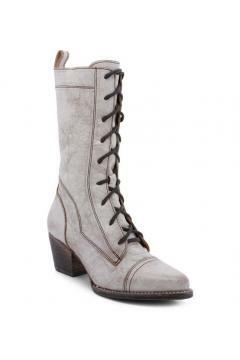 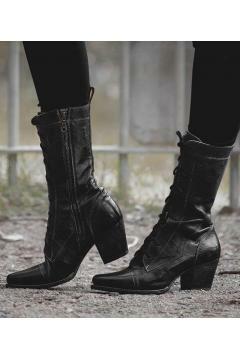 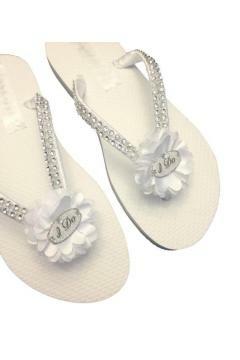 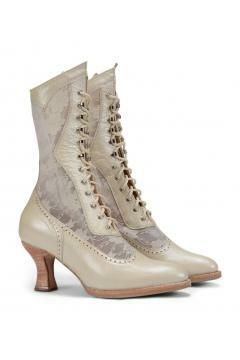 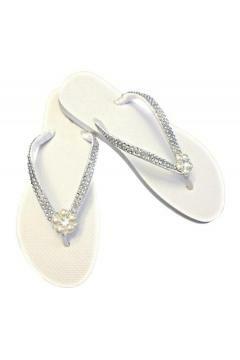 These elegant boots will be a hit at your next romantic party or wedding!